Game designer and PlatinumGames founder Hideki Kamiya, has created several polls in which he asks fans which sequel they would like to see him make. In the polls, Kamiya asks fans to pick between a sequel for Viewtiful Joe & Okami or Devil May Cry & Okami. While at Capcom, Kamiya was responsible for directing the original Devil May Cry back in 2001. Interestingly enough, Kamiya wasn’t asked by Capcom to direct the sequel to the PS2 hit game. The designer later moved on Clover Studio to direct Viewtiful Joe. Kamiya isn’t known for being that social on Twitter, as the designer has been blocking Tweeters for asking questions on the fly. The designer is currently working on Xbox One exclusive Scalebound with this studio PlatinumGames, which is scheduled for a release in 2016. 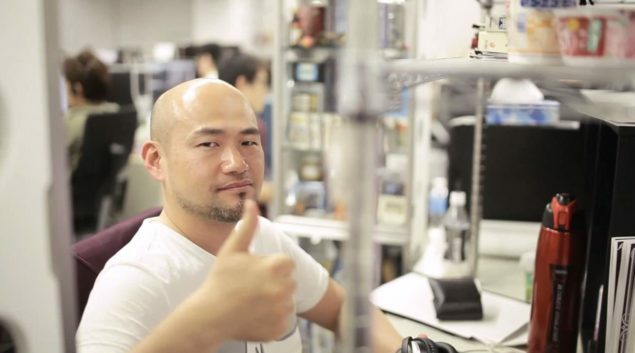 Other projects that Kamiya and his studio PlatinumGames is involved in, is the upcoming PS4 exclusive NieR. The talented game designer has also worked on the original Resident Evil, and directed Resident Evil 2. Interesting enough, when asked about a Resident Evil 2 remake in a recent interview with Metro, the designer stated that he doesn’t really like horror games. I wonder if Kamiya is merely survyeing interest, or is thinking about doing a sequel to the games listed in his polls. All of the IP’s mentioned are owned by Capcom, so if Kamiya is serious, he will be making a deal with his old employee to do a sequel.